Ghanaian gospel music group, Bethel Revival Choir are making waves with their great strides and achievement. 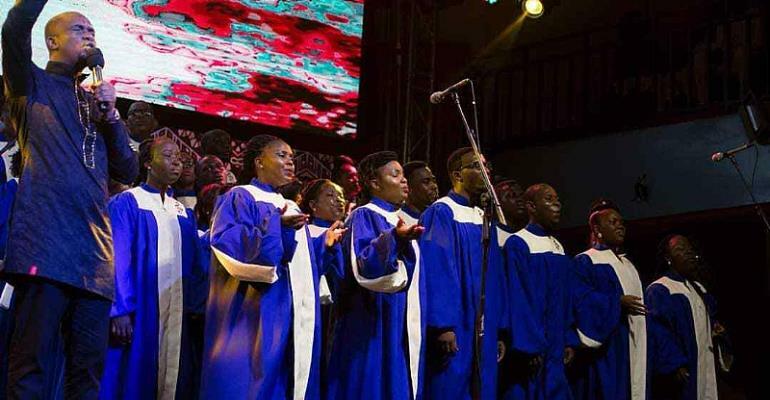 The Bethel Revival Choir, a contemporary gospel choir under the Global evangelical Church (GEC), Kotobabi in Accra has over the few years become topical in the entertainment industry. The group has captured the attention of the country’s gospel front with the aim to ‘modernize’ old traditional Ewe songs coupled with their amazing vocal delivery. With consistency and mainly adherence of "Never To Give Up," they have resolved to achieve higher glory despite the low turnout at most of their events in the past. In the recent 3 Music Awards, the group shocked everyone by picking up awards for all 3 awards they were nominated for. The group picked awards for Gospel Song of the Year, Gospel Act of the Year and Group of the Year. They beat tough competition from several Gospel acts in the various categories. “We’ve been doing this worship thing for nine years now. The truth is that there are months we go on stage and there is nobody in the room…after all the publicity, but we never gave up,” they stated. According to the group, the lyrics of their songs over the period are a prophetic declaration aptly arranged to create a personalized atmosphere for listeners and followers of God. Bethel Revival Choir further expressed delight in the massive acceptance from Music lovers and promised to deliver more in the coming days.